Home > Blog > Selling Your Car? Read this Before Letting a Stranger Test-Drive Your Car. If you’re thinking about selling your vehicle, be aware that prospect buyers might want to take the your car out for a spin before they decide to buy it. 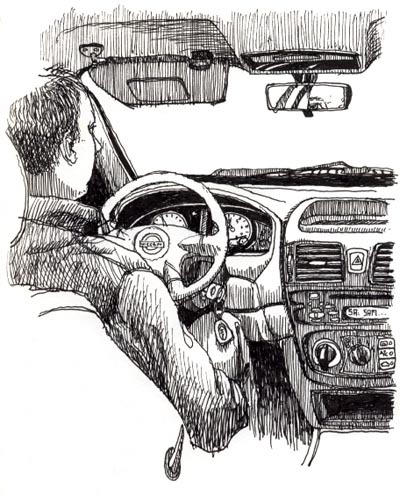 Allowing a stranger behind the wheel of your personal car might seem frightening. If you follow these tips it will feel easier to hand over your keys with some peace of mind as you move forward with the sale of your vehicle. Remove all valuables from your car before the meeting. Meet at a well-lit, public area instead of your home or the buyer's home. Ask a friend or family member to accompany you during the test drive. If you have to meet the potential buyer alone, be sure at least two trusted friends/family members know the details of your meeting plans. It's important someone knows the time and place you are meeting. Get a copy of the potential buyer’s drivers license. Take a photo or write down the buyer’s driver’s license number, address, and phone number. Agree on a route that allows the buyer to test drive your car on local roads, as well as, the highway. Set a curfew. A buyer might want to spend up to thirty minutes test driving a used car. Be clear about when and where you expect your car returned and, if you allow the buyer to drive alone, consider setting a shorter test drive time. Confirm your auto insurance coverage. Most car insurance policies account for others driving your vehicle. Double check your policy details before you begin a test drive. After you speak with your prospective buyer and establish rules, invite them to take the car for a test drive. Hop in the passenger seat for the ride! When you accompany your potential buyer, you’ll feel more comfortable letting them take the wheel. Use this time to answer their questions and point out your favorite features about the car. With the buyer buckled in, you’ll have a captive audience for your sales pitch. If the buyer is still interested and decides to cuts you a check immediately, keep his driver’s license number and contact information on file until the check clears. Have you ever conducted a test drive on a used car? What’s your experience? Share your tips in the comments section below. Get a FREE insurance quote here!